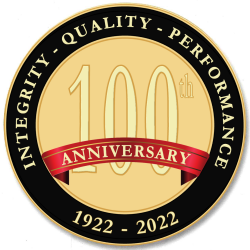 For nearly a century, Reimers & Jolivette has been a leader in the construction industry in the Pacific Northwest. We enjoy working with volunteer committee members and staff to bring about changes to their facilities for the benefit of their membership. With our experience working with teams of volunteer members and management employees, we can assist you navigate through your project to fulfill the vision of the organization. Details make the difference for a successful renovation of your work or play environment. Our Project Foreman have years of experience remodeling sections of an organizations building while the day to day operation continues to function without interruption. Our attention to the project details during the budgeting process help keep surprises to a minimum. Pre-construction budget development through Construction Project Estimate to keep your projects on track. Historical renovations have many challenges that test the teams experience. With 94 years of continuous business experience in the renovation market, we have seen and resolved many project opportunities. Since 1922, our reputation at Reimers & Jolivette has been built on craftsmanship. This is what we offer, our market niche. It comes with a tradition that includes employing experienced craftsmen who share their knowledge and their passion for superior workmanship. Our client list is impressive. We serve top quality architectural firms. We offer computerized cost tracking to maintain tight controls. We meet deadlines. Our safety record is unblemished. And we’re told that we are flexible, straight and easy to work with. We offer you a higher level of both quality and professionalism. We offer realistic estimates on time and costs, with no surprises. Our clients tell us they prefer working this way. We think you will too.